If you have children, you may be wondering what the best window treatments are for your home. Whether you’re worried for your children’s safety, or how your treatments will hold up in the long-run, it’s a valid concern. Here are the top reasons why custom shutters are the best window treatments in Utah for families with small children. Child safety and window treatments has always been a huge concern for many parents, with good reason. If you’re worried about the safety of your children and your window treatments, custom shutters should be your first choice. Of course, without any cords to pull, there are no safety hazards present when fitting your home with custom shutters. You can have complete peace of mind knowing that you don’t have to buy special equipment just to keep dangerous cords out of the way. We all want to make sure when we invest in window treatments that they’ll last. That means holding up to regular use and occasional abuse from children. Flimsy blinds can easily lose their shape, requiring a complete replacement. Roman shades can become unraveled or ripped by curious little ones as well. Solid wood is much more resilient to the antics of small children and in the case that a child ever did happen to break a piece of your shutter, we’re able to replace any piece as soon as possible. When it comes to small – and probably chocolate-stained hands – you’ll find your custom wood shutters are easy to clean. Adequate spacing between the slats makes each nook easy to reach. 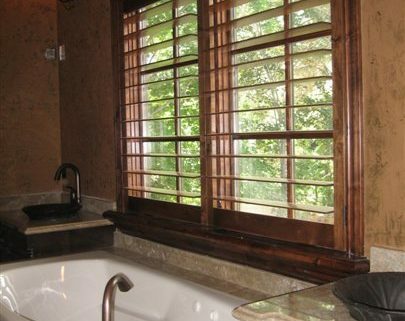 And since our custom-made shutters without a tilt-rod, there are less obstacles to get in your way. 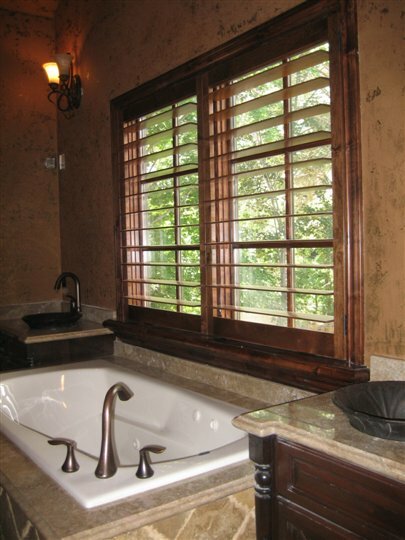 Naturally stain-resistant and durable, you’ll love how easy it is to keep your custom shutters clean. We have enough to keep us anxious when it comes to keeping our children safe. Worrying about hazards in our home shouldn’t be one of them. If you’re ready to upgrade to the best window treatments in Utah, we’re here to help. Serving homes across Utah, Clearview Shutters is ready to make your home a place you can enjoy for years to come.